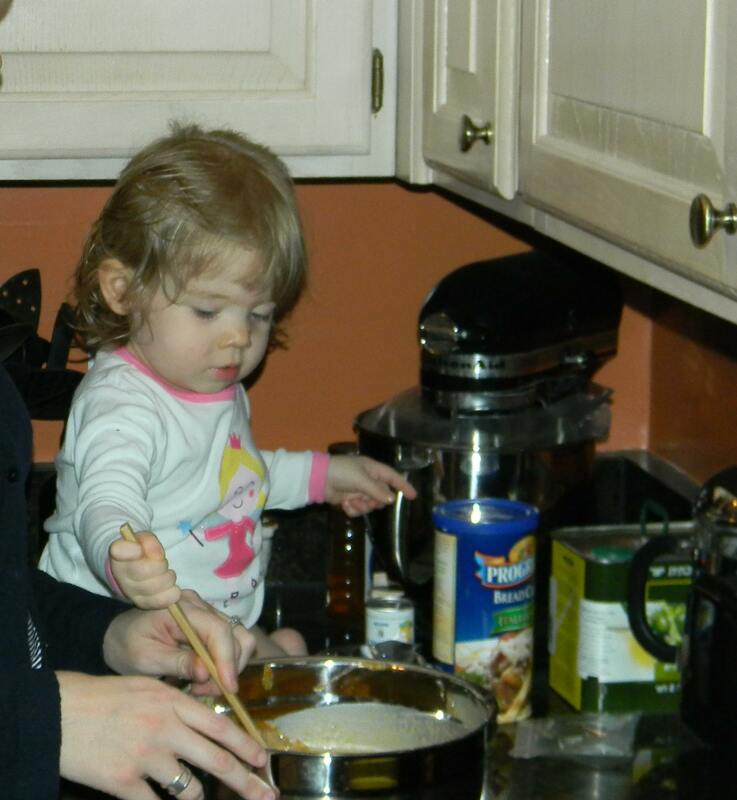 We might have a future chef on our hands. Miss H was so fascinated with me making pumpkin pies that I had to let her sit on the kitchen counter. 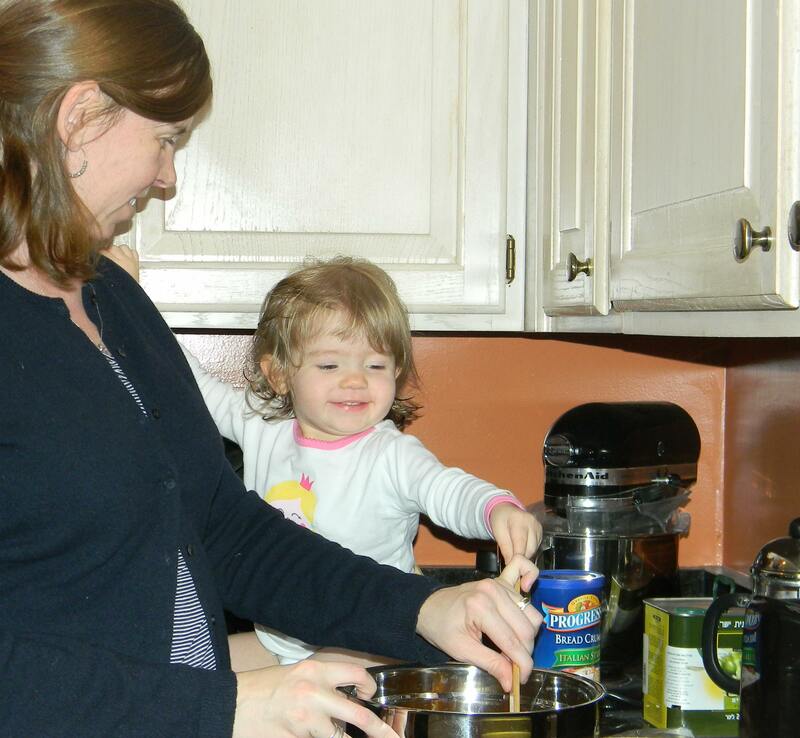 She made sure the sugar, cinnamon, cloves and nutmeg tasted just right (‘yum!”) and helped stir everything together. When we had to put the pies in the oven it was very, very sad and there was a protest. I tried to explain that they needed to be cooked but that seem to not be on her agenda. Maybe I will try having her make sugar cookies in a few weeks? 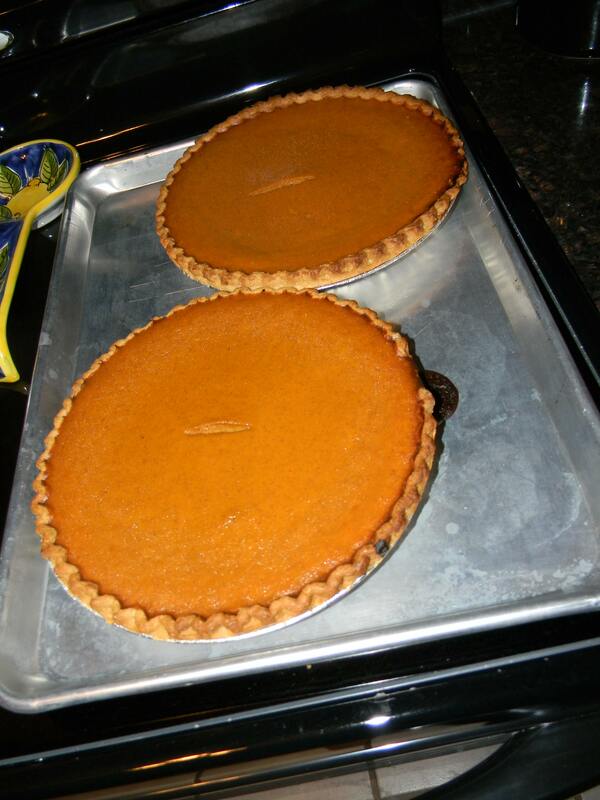 I had a pretty easy cooking assignment for Thanksgiving- I am responsible for the pumpkin pies, Paula Dean’s Mac and Cheese, Stove Top (yes, the just add water stuffing for Kerry and Leigh), Cool Whip and cranberry butter. All put together tonight and ready to go for tomorrow. Last year, I had intended on making a Christmas Ornament Wreath that I had found on this site but never, ever got around to it. So, tonight I made two. Mom- if you are reading this- one is for you. 1. Big assortment of shatter proof ornaments. 2. 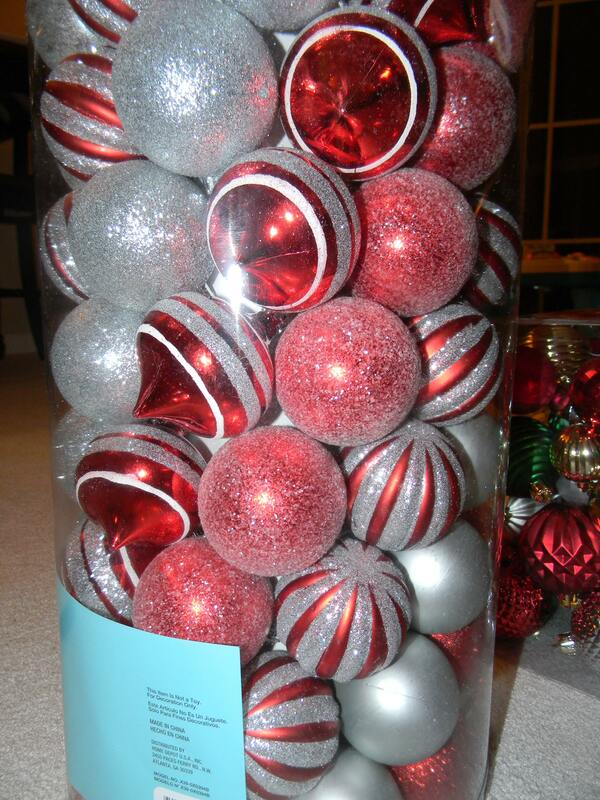 Use a hot glue gun to securely attach the top to the ornament. This is time consuming but will make your life easier. 3. 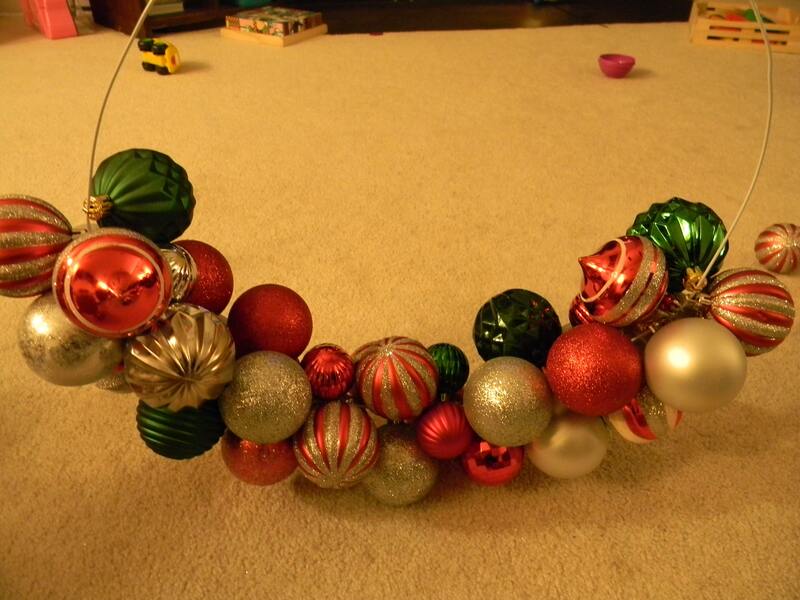 Get a wire coat hanger, bend into a circle and start loading on the ornaments. I used various sizes to make the ornaments fit better. 4. 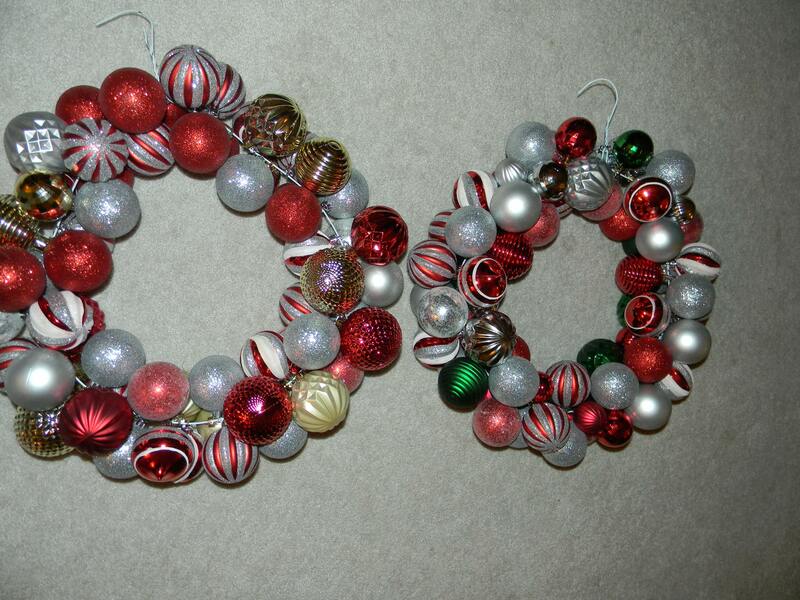 Each wreath will take about 60+ ornaments depending on size. 5. Fill the entire hanger and then re-close the hook. 6. 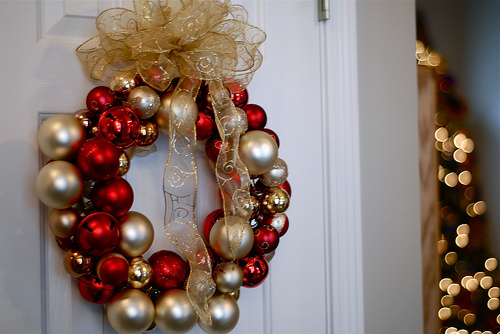 Find a ribbon to cover the hook and then hang on your door!